Being foodies, our family enjoys good cheeses, which is to put it mildly since we share Wallace’s (Wallace and Grommit) love of all things cheese. As it happened, we were directed to Woerden (pronounced Warden) by Donna Turner, who runs Turner Cars and Campers. 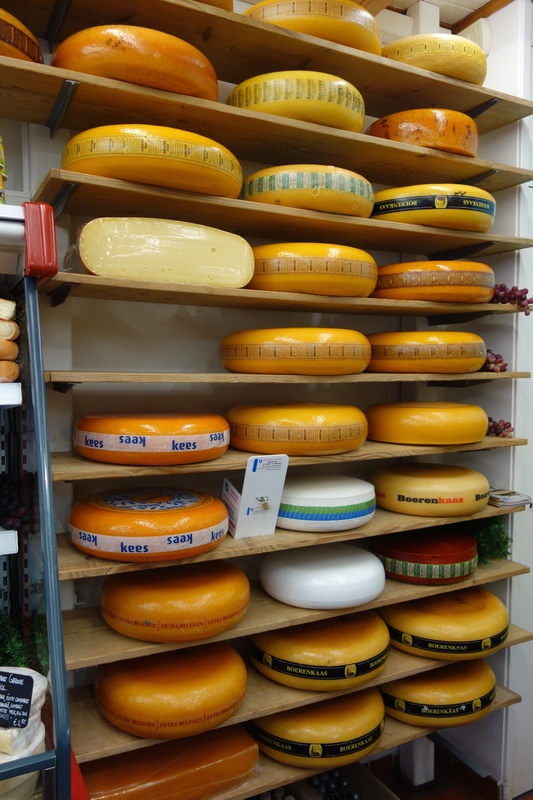 The agricultural specialty of this region is dairy products and wouldn’t you know it…CHEESE! In this bucolic village with roots back to the Romans, we found a cheese shop run by a lovely woman named Janine. As we admired her collection of fermented marvels, we struck up a conversation with her, asked her to guide us to the local specialities. What ensued was a 20 minute cheese tasting that walked us through the cheese ripening process. The cheeses we tried came from the local farms, made with milk from the cows we saw in the area on our long walks through the countryside. 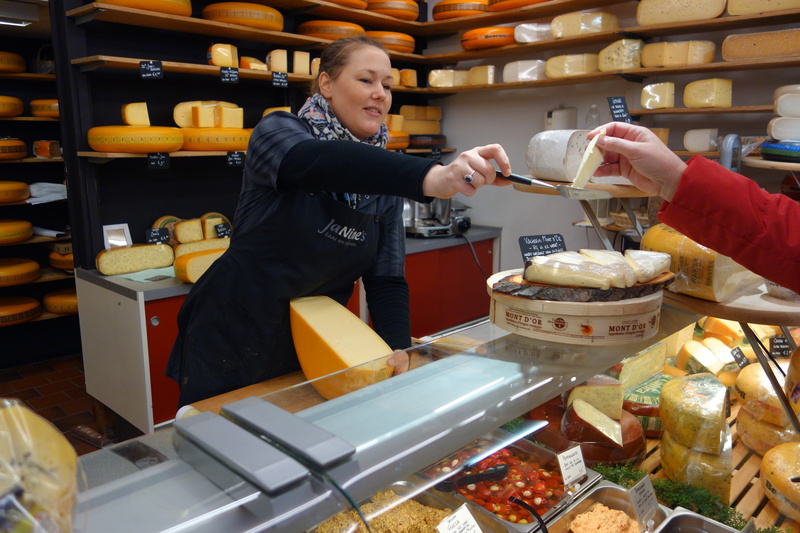 We tried a young Gouda (5 weeks) that was very mild, but soft and creamy. Next up was one that had aged 5 months, which the proprietress deemed the star of her show. Firmer and stronger tasting, it had developed that characteristic Gouda taste that has hints of caramel in its buttery richness. Then she treated us to a cheese made from raw milk that is not normally aged for year, but it had been a particularly good batch and had held up well. It was very sharp, its taste having morphed into a tart crumbly solid that had a distinct bite to it. Wonderful! Last up, she shared a story of how her father had a cheese warehouse, and she would come home after school and sample various cheeses and how she missed the interesting creations from the local region. Then, she pulled out an herbed cheese infused with chives, garlic and nettles, and said “I have not tasted cheese like this since my childhood.” A fantastic medley of tastes, blended nicely without being overpowering. Have you found a cheese cave yet, Aaron?? Looks like you three are enjoying the Netherlands and her people. I’m very jealous that we were unable to see more from the ground (walking around) like you have done. Keep the pictures coming–would love to see your new “digs” when you get a chance. Love you all. Thanks Mom! We’re working on an article about “Charlie”, our new rig – we’ll probably add it to the About Us Page if I can figure that out 🙂 We’re bonding a lot as a family and adjusting to our new life. More pics to follow! Finally figured out how to reach your blog on Mozilla Firefox, not google. 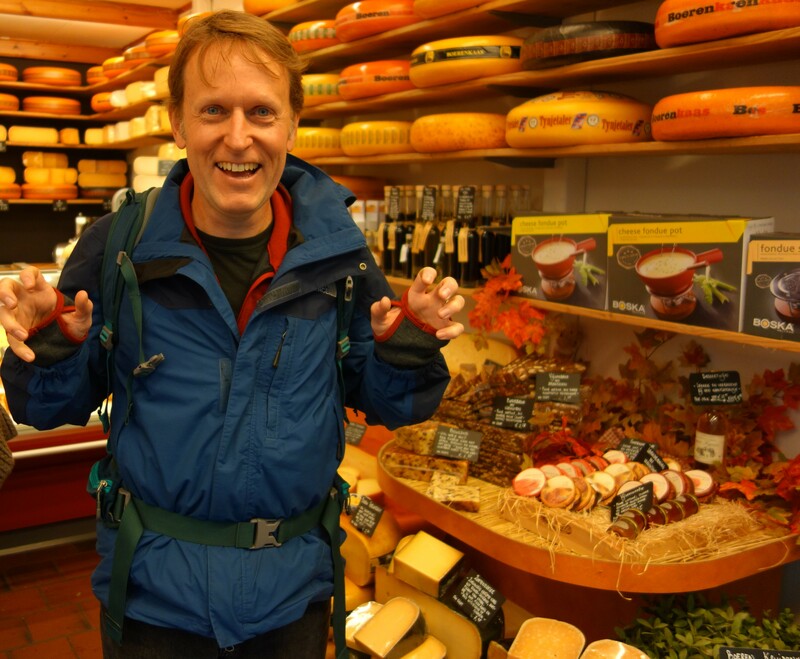 However, it goes from the first canyon “heading east wonderous landscapes” to the cheese. Were there some in between? YES! We have articles that are close to being uploaded . . . we have spotty wifi and slooowwww. We’re working on it! Thanks for reading!